Showing expression through stickers and emojis are very interesting. We challenged ourselves to create a beautifully designed, simple to use, and user-friendly app. 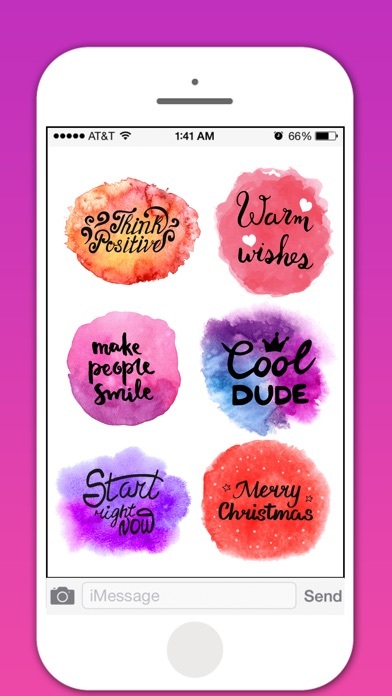 Watercolor Greetings Stickers Pack: Express your thoughts by sending attractive stickers to your friends, relatives an any one! 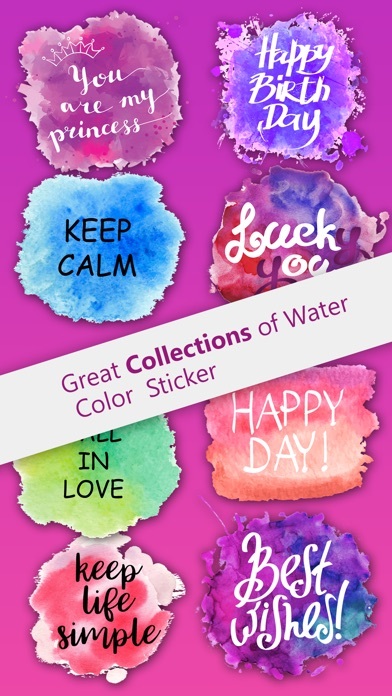 There are more than 50 stickers to Share your thoughts with these cool and awesome watermark stickers. 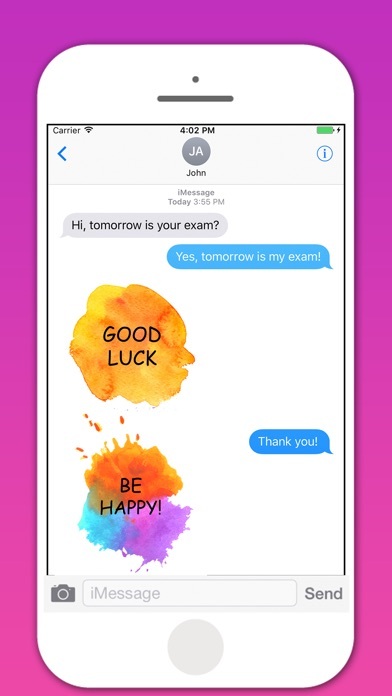 How to Use: - Open iMessage from your iPhone. - Click on the Appstore icon for sending stickers. 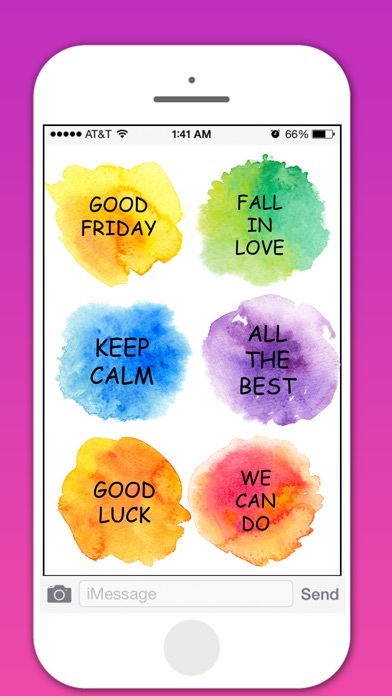 - Select the WaterColor Greetings Sticker app . - Just with a single tap send stickers. 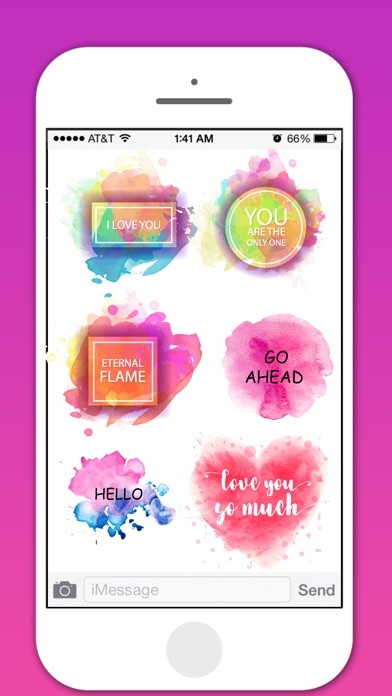 - Also simply long touch and peel off the stickers to add them with your texts! !